EHS freshman Tessa Rockhold lifts a homer during the second inning of the Lady Eagles’ 15-5 victory over South Webster in a Southeast District Division IV sectional final contest on Thursday in Tuppers Plains, Ohio. EHS senior Sydney Cook drives a home run during the fourth inning of the Lady Eagles’ 15-5 victory over South Webster in a Southeast District Division IV sectional final contest on Thursday in Tuppers Plains, Ohio. TUPPERS PLAINS, Ohio — The Lady Eagles are once again flying high. 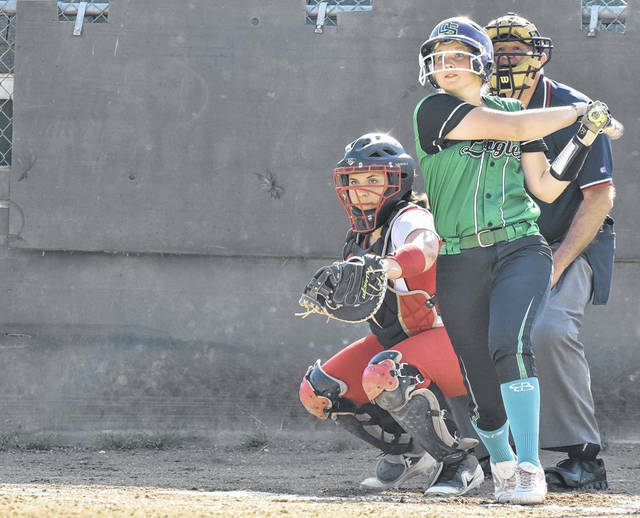 The top-seeded Eastern softball team trailed 5-2 through 2½ innings of Thursday night’s Southeast District Division IV sectional final, but visiting South Webster surrendered 13-unanswered runs, as the Lady Eagles rallied for a 15-5 victory at Don Jackson Field in Meigs County. The Lady Eagles (17-6) surrendered two runs in the top of the second, as Kaylea McCleese and Bobbi Johnson scored on a EHS field miscue to take a 2-0 advantage. EHS countered in the bottom of the second, when Tessa Rockhold drove a two-run home run to tie the contest at 2-all. South Webster took a 5-2 lead in the third, as Baylee Cox connected on a two-run homer and Taylor Rawlins provided a two-out solo shot. The Lady Eagles rallied in the bottom of the third, as they sent 11 hitters to the plate and scored six runs on five hits, two walks and two errors to take a 8-5 advantage. Eastern added six additional runs in the fourth, as Cera Grueser, Sydney Cook, Emmalea Durst, Courtney Fitzgerald, Ally Barber and Kelsey Casto each scored in the frame to extend the lead to 14-5. The Lady Eagles added their final run of the contest in the sixth to close out the 10-run victory in mercy rule fashion. The victory for EHS served as the 22nd sectional championship in the program’s history and first since 2016. Tessa Rockhold was the winning pitcher of record, as she surrendered five runs on four hits, with three walks and nine strikeouts in six innings of work. Rockhold also finished with two hits, three RBI and scored twice at the plate. On the offensive side for Eastern, Cook finished with two safeties, driving in four runs and scoring twice. 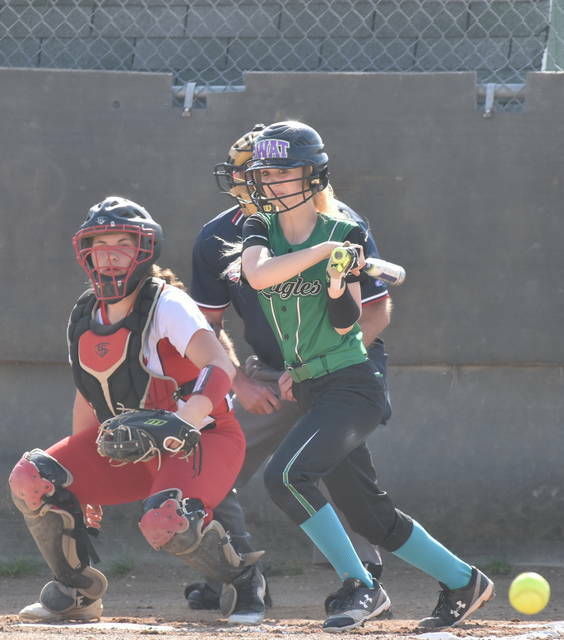 Fitzgerald, Grueser, Barber and Casto each provided two hits apiece, respectively, while Durst and Kelsey Roberts added one safety each to conclude the hit totals for EHS. Grueser also added three RBI to the Lady Eagles’ effort, while Casto, Durst and Kennadi Rockhold drove in one run each, respectively. Roberts, Durst, Barber and Casto also scored twice each, while Fitzgerald, Grueser and Kennadi Rockhold scored once apiece in the contest, respectively, to conclude the offensive totals for Eastern. Katlyn Britton suffered the loss for the Lady Jeeps, as she allowed 13 runs on 13 hits, with five walks and one strikeout in 4⅔ innings of relief. Gwen Messer started the contest for South Webster, surrendering two runs on one hit, with one walk in 1⅓ innings of work. 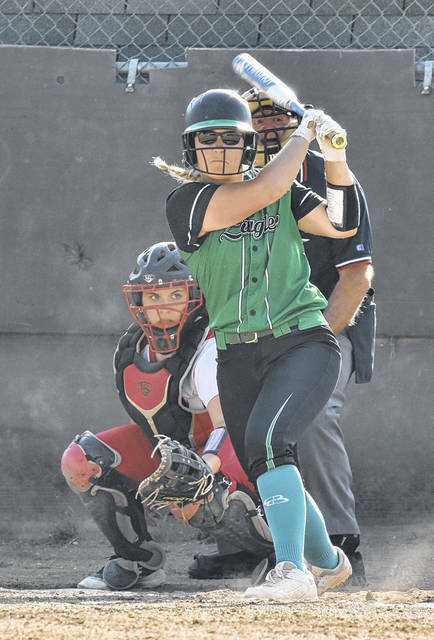 Rawlins, McCleese, Cox and Kaylee Hadinger each finished with one hit apiece, respectively to conclude the hit totals for SWHS. Cox finished with two RBI and scored once, while Rawlins drove in one run and scored a run. McCleese, Johnson and Hadinger each provided one run scored in the contest to conclude the offensive totals for the visitors. Following the game, EHS coach Bryan Durst was pleased with his team’s performance — particularly with their ability to respond to being behind early in the contest. The Lady Eagles return to the diamond to face the Valley Lady Indians in a district semifinal contest at the University of Rio Grande at 4:30 p.m. Thursday.